The world has suffered a massive earthquake, and California has become its own island. That’s where Dolph and his band of misfits are stuck. Of course, it’s not actually clear that they’re on the island until almost an hour into the movie. That’s only one of this movies many flaws. This flick has also got some serious scripting issues, and in fact, I wonder if the script was actually finished before filming began. There are several scenes where the dialog suddenly takes a left turn, and the conversation changes completely, segueing hamfistedly into the next story element. It’s almost as if the actors were told nothing but, “start here, end here,” and then they were put in front of a camera. I found this movie originally on a “Top 50 Post-Apocalyptic Movies” list on imdb (you’ll find it on there under “The Last Patrol”, btw). Even though it was barely hanging on to the list at number 50, I still wasn’t as impressed with it as that guy was. 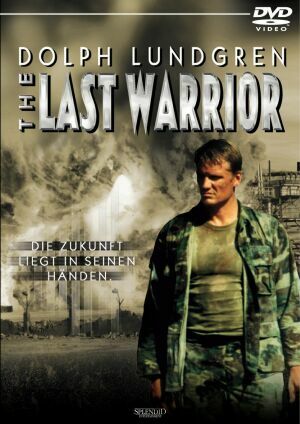 This entry was posted in Hurleysgivingpocalyptageddon, Movie Reviews and tagged dolph lundgren, hurleysgivingpocalyptageddon, last patrol, last warrior, Movie Reviews.